Ever since the Charleston shooting, the Confederate battle flag has been a source of national commotion that has been touched on by media figures and politicians alike. In the aftermath of Gov. Nikki Haley‘s announcement to remove the flag from atop the South Carolina State house, major retailers from Amazon to Walmart have been adopting the popular trend of disassociating themselves from the flag’s controversy, promising to no longer sell it or any related paraphernalia. 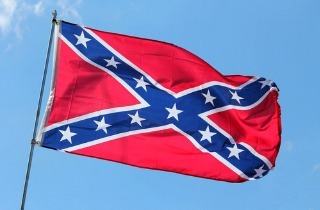 On Tuesday, the manufacturers also got on board when a major U.S. flag maker announced that it will no longer make the old flag of Southern pride. VandenBosch said that even with Confederate flags gone, business will barely be affected. it is possible that the flag’s discontinuation will not have a great economic impact for other flag makers either, most flags being made in China and with comparatively small sales numbers to those of the American Flag.